Establishing the extent and patterns of women’s participation in architecture is a complicated, convoluted business. Gill Matthewson and Kirsty Volz have been working hard to generate more reliable data. 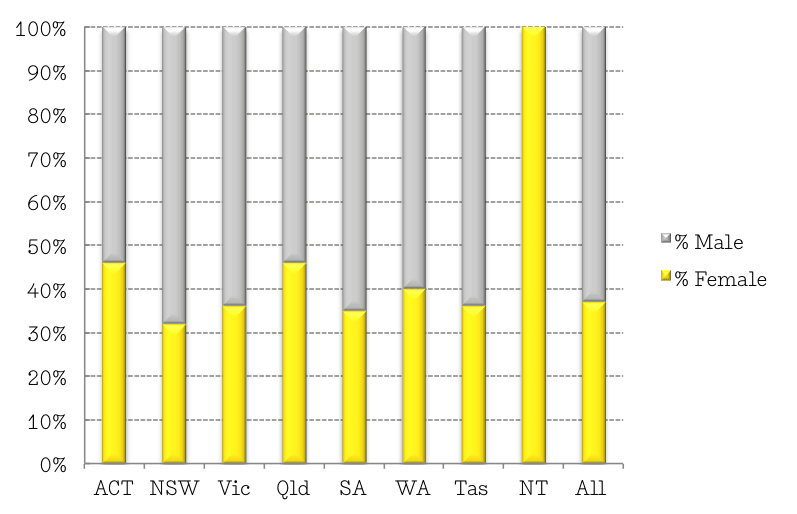 In the first of three posts, Gill updates the numbers, starting with the state of play in Australia’s architecture schools. The first place to start when mapping women’s participation in the profession is to look at how many women are actually entering architecture. These days most enter the profession from an accredited architecture school program. Women made up 42% of these students. Women made up 44% of the intake into year one of the first degree. Last century (particularly in the 1970s and 1980s) there was a considerable attrition of women from the schools.2 That is, the proportion of women entering the schools was much higher than the graduation rate. 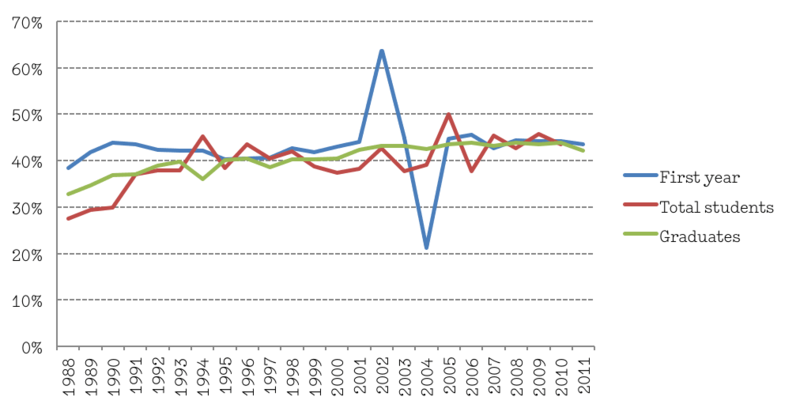 Architecture had a reasonably high attrition rate for all students, but it seemed to affect women much more than men. That attrition imbalance has; however, shifted markedly and has increasingly improved over the years for which we have data. 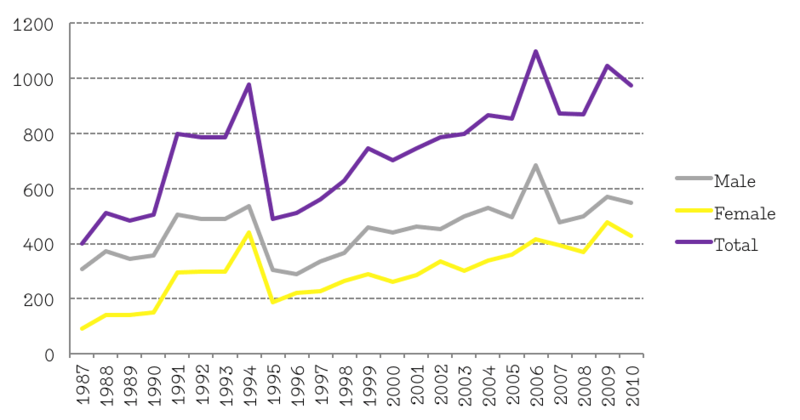 It should be noted that individual schools have quite different attrition patterns to the country-wide pattern, but taken overall the trend is of equitable attrition. 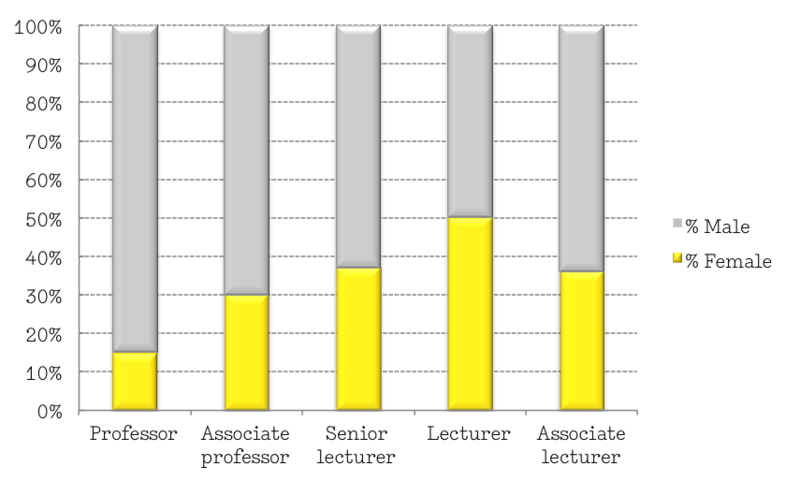 As seen in the chart below, women are concentrated in the lower levels of teaching staff. 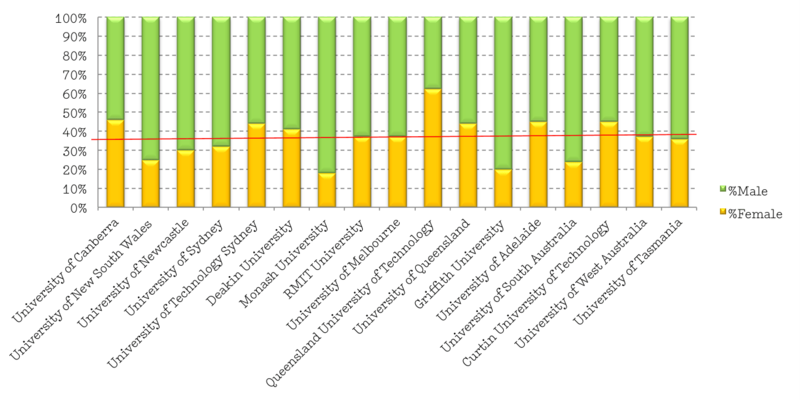 Where schools have research-only positions (five out of the 18 schools) these positions are dominated by women. 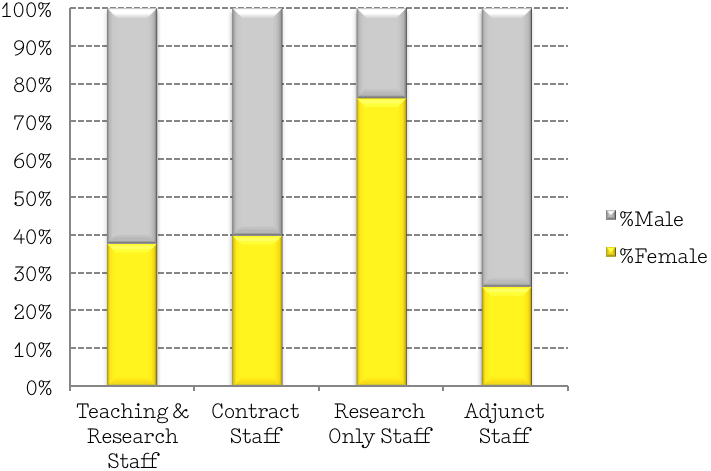 Research-only position are often not full-time and also have more flexible hours; however, they are also not as secure as other positions. After architecture school, female graduates enter the profession in similar proportions to those graduating, but their participation in the profession in the following years drops off over time. The next post outlines two ways of measuring women’s participation in the profession once they leave architecture school.